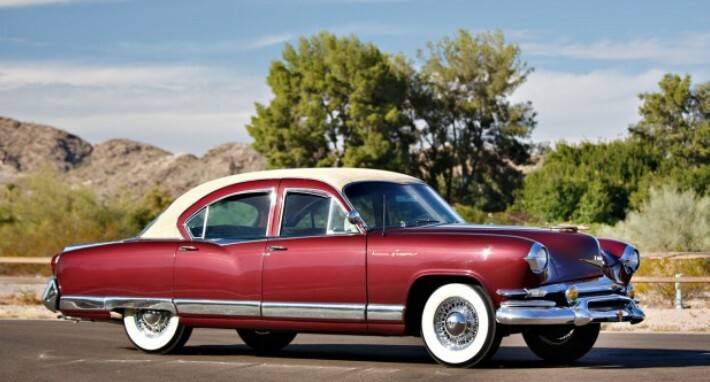 The Dragon was originally a trim level offered on 1951 Kaiser cars. Basically, they were cars equipped with faux-alligator skin interior (called “dragon skin” so no one got the impression that it was real alligator) and thick carpeting. In 1953, Kaiser, decided to build a top-shelf car also called the Dragon. The 1953 Dragons were well-equipped and aimed at the top of the market. They were marketed as “safety” cars with featured like padded dashboards and pop-out windshields. They also had an electric clock, radio, gold-plated exterior nameplates and power steering. They were more expensive (at $3,924) than both a Buick Roadmaster and a Cadillac Series 62. Sales weren’t great because, while well-equipped, when compared with their more-expensive competition, they seriously lagged in the motor department. The Dragon is powered by a 118 horsepower, 3.6-liter straight-six. The Buick had a V-8 and 70 more horsepower. Only built for 1953, Kaiser managed to move only 1,277 Dragons. The car is well-styled and definitely has standout looks. The vinyl top even looks like bamboo. The restoration on this car dates to 1982, but it’s still in great shape and is completely usable, as it’s been well-preserved since. This example should bring between $70,000-$90,000. Click here for more info and here for more from this sale. This entry was posted in Uncategorized and tagged 1953, auctions, cars, classic cars, dragon, gooding & company, kaiser by classiccarweekly. Bookmark the permalink.